Another incredible renovation by M2REST! 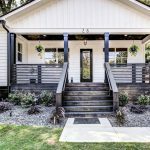 This East Atlanta bungalow is sure to make your heart skip a beat when you step inside & see the spacious, light-filled open floor plan with gleaming hardwoods + swanky barn doors that open into the office/bedroom. Chef's kitchen with stone countertops, ss appliances, + breakfast bar. Dreamy master with custom walk-in closet and bath w deco cement tiles, dbl vanity + large walk-in shower. Extra deep, private fenced backyard with new back deck is ready for your next party! 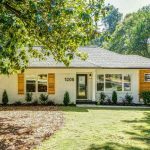 Minutes from EAV, Beltline + interstate. Welcome home! Fabulous Westside Renovation by M2REST & DBL! Enter into a Bright Open Living Space, an Entertainer's Dream. Hdwds Thru-out! High-End Trappings in a Chef's Kitchen: SS Appls, Solid Wood Soft Close Cabs, Under Cab Lighting, Gorgeous Tile Backsplash & Granite C'Tops. Retire to your Huge Master w/ Walk-in Closet w/ Custom Built-ins & Ensuite w/ Dual Vanities, Rare Designer Stone & Soaking Tub! Enjoy BBQs on your Expansive Back Deck & Make timeless memories in your Large Backyard. All New Systems, Roof, Windows & Siding! This home has it all! Walk to the Beltline! Gorgeous! Another stunning renovation by M2REST! 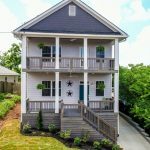 This East Atlanta gem has designer finishes throughout, gleaming oak hardwoods, and a truly open floorplan. The living, dining and kitchen open to a large back deck... perfect for entertaining! Kitchen boasts white shaker cabinets, high end granite, SS appliances, pantry + island. Master w/custom walk-in closet + en suite with quartz dual vanity. Office nook opens to 4th bedroom/den. Oodles of storage + a garage! Large backyard. Updated electric, plumbing + HVAC. Minutes to dining + nightlife in EAV. Welcome home! 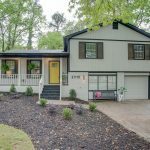 Fully Renovated Beauty in Dunwoody by M2REST & DBL! Gleaming Hardwoods flow throughout the main level. High End Granite and Glass dazzle in the Kitchen & Baths! Great Room complete w a Grand Fireplace, Soaring Ceilings & abundant Natural Light. Perfect for entertaining w Multiple Living areas inside and out. Top it off w a Theatre Room! New Roof, Deck, Upgraded Systems & Smart Thermostats. Located in a Fantastic, Family-Friendly Community, a Short Walk to the JCC. This home has it all, Upgrades, High Design, & Location, all at a Great Price! 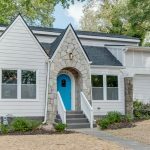 A Modern Kirkwood gem, Fully Renovated by M2REST! An Entertainer's Dream, show off the Designer Finishes & Gleaming Hdwds in your Open Floorplan. Kitchen w/ High-End Granite, Large Peninsula/Island, SS appl’s + Solid Wood Cabs with Tons of Storage. Retire in your Expansive Master with Custom Walk-in Closet + Spa-Like En Suite w/ Designer Tile, Dual Showers, & unique Floating Dual Vanity. All New Systems + SMART thermostat. Covered front porch, patio and HUGE Fenced Backyard! Walk to Kirkwood Village & Coan Park. Minutes from L5P and the Beltline. Welcome Home! 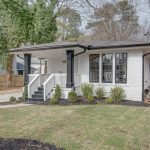 Hot Reynoldstown Home by Atlanta's M2REST! Grand Open Concept Kitchen, Dining, & Living are an Entertainer's Dream! 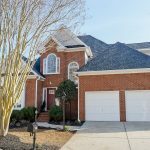 Enjoy 10' Ceilings, a Flexible Floorplan, Solid Red Oak Hardwoods, & More! True Chef's Kitchen w/ SS Apps, Floating Walnut Shelves, Dual Barstool Peninsulas, & Under Cab Lighting! The Master Suite features a Vaulted Ceiling, Custom Shelving Walk-in Closet, & Magazine Worthy Spa-like Bath. Tons of Outdoor Space - Front Porch, Side Deck, Back Deck, & Deep Backyard! Only Steps to Beltline, Marta, Edgewood Retail, Glenwood Park, & upcoming Memorial Dr dvlpmt! Another jaw dropping renovation by M2REST! This home has it all! A one-of-a-kind front door brings you into an open living are w/cedar beam and posts. Enjoy entertaining in your chef's kitchen complete with upgraded SS appl's & granite. Or, have a party on your massive back deck! Two oversized BRs on main for guests. Retire in your large master w/vaulted ceiling and ensuite after a book in your upstairs loft, complete with built-in bookshelves. All new systems incl windows & roof. Fully fenced! Welcome home! Location, Views & Design! This New Construction by M2REST has it all! Front Porches & Lounge offer City Skyline Views! The Design is a Perfect Mix btwn Modern & Classic Elements. Open Kitchen, Dining & Living Space. Chef's Kitchen includes SS Apps, Solid Wood Cabs, Under Cab Lighting, Apron Front Sink & Granite! Private Master Suite w/ Spa-Like Bath includes Shower & Soaking Tub! Entertain Outdoors on Back Deck leading to Grassy Backyard! Driveway & Off Street Parking! Quick stroll to new Georgia Ave Dvlpmt, Grant Park, Zoo, Farmer's Market & the Beltline! Tier 1 ANCS! 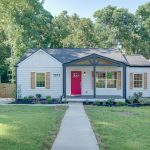 Gorgeous New Construction by M2REST! This luxurious home accents Contemporary w/ Classic Touches impeccably. The Open Kitchen & Family Room is perfect for entertaining w/French Drs leading to Covered Back Deck. Surround Sound in all Main Living Areas & Deck! Professional Chef's Kitchen w/Viking Apps, Marble, Waterfall Style Island & a Massive Pantry. The Master Bdrm features a Spa-like Bath w/Marble, Rain Shwr, & Soaking Tub. Spacious Addt'l BRs w/Walk-in Closets & Ensuite Baths. Bonus Living Space in Bsmnt w/Mud Room & 2 Car Garage. Amazing Backyard & Prime Location!